Love Beer? Love Spieagelau Glassware? Your in Luck! 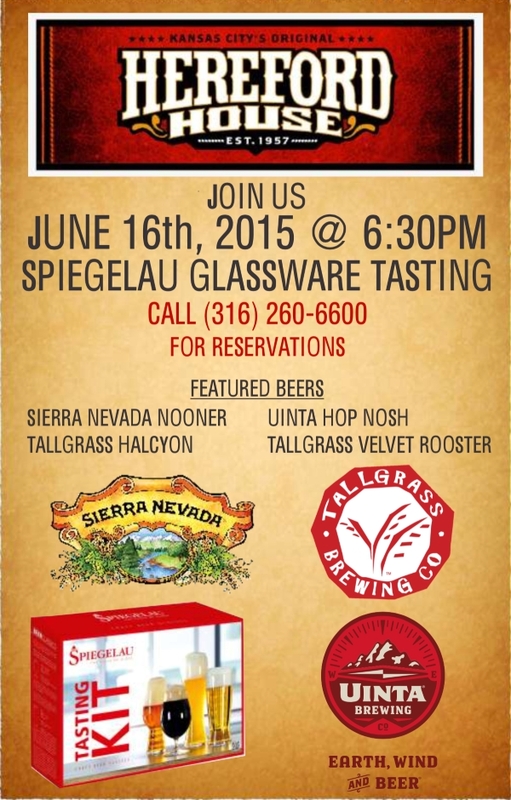 Please join us at the Hereford House for the last Spiegelau Glassware Beer Tasting on Tuesday June 16th at 6:30. This incredible set will include an IPA, lager, wheat beer, and tall pilsher glass. Each glass in the Beer Classics collection is designed to enhance a specific style of beer and maximize their appearance, aroma, taste, and mouth feels. This set retails for $65 but it's only $40, a steal for beer glassware. So call today (316) 733-7800 and make your reservations, seating is limited! Give Her A Rest, No Cooking, No Cleaning, Just Relaxing at The Hereford House's Mother's Day Brunch Buffet. Want to Pamper Your Mom on Mother's Day, Bring Her to The Hereford House and Let Us Pamper Her for You! Mother's Day is a perfect time to Show Gratitude to Mother's and Grandmother's of all ages. 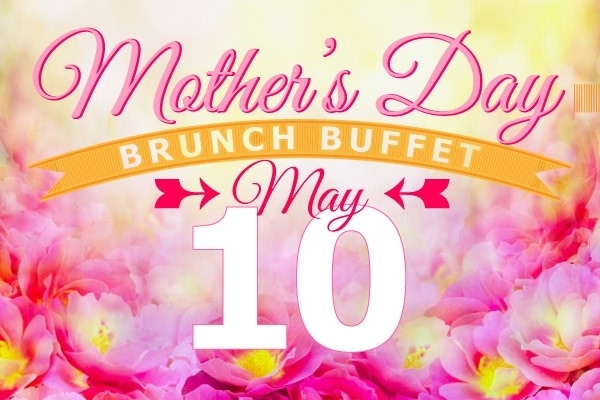 Hereford House and Scotch & Sirloin invites families to celebrate Mother's Day with an Elegant Brunch Buffet from 10 am to 3 pm on Sunday May 10th. The Brunch Buffet is $26.95 for Adults and $12.95 for children 11 and under. Time slots are filling up quickly, so make your reservations early, this will assure you an on time experience. To Make your Mother's Day Reservation at The Hereford House call (316) 733-7800, for the Scotch & Sirloin call (316) 685-8701. There's a strong spirit of individualisn in the air this year, with couples really being keen on infusing their ceremonies and receptions with their own personalities. The Bride and Groom want it to be magical and dreamy and for the most part they just want their guests to have fun. The result of individualism means the actual day will reflect the bride and grooms taste and will show their uniqueness. What are the Wedding Trends We're Seeing? The trends that I am seeing for weddings this year are garden parties, loosely styled floral centerpieces, vintage lace and cloth, lush garlands get turned into table runners, and the Victorian era. I see lots of shades of white or ivory with a burst of color like poppy red, and emerald greens. The ballroom here at the Hereford House is very romantic and it falls within these upcoming trends. Our column lights look like you would see the same lights walking down the streets of London, England. 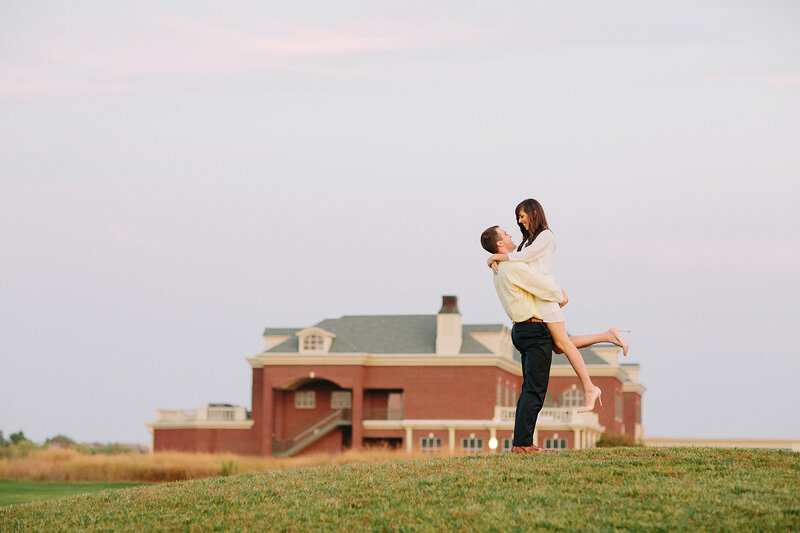 Hereford House at Terradyne Country Club looks forward to hosting your dream wedding! 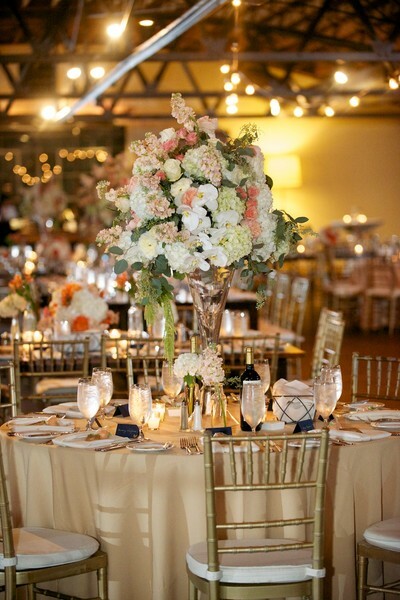 Don't call the Hereford House if you want the ordinary, call the Hereford House if you want extraordinary service, mouth watering food, attention to detail, mentoring advice from the beginning to end of your event, and stress-free planning! 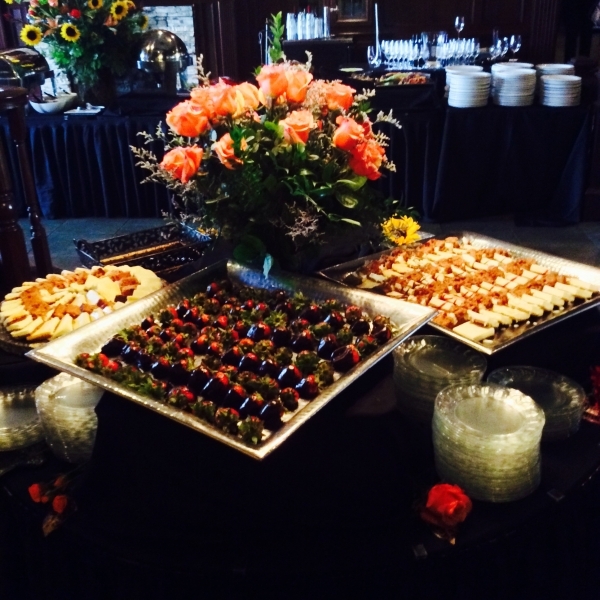 Tips for choosing the perfect catering service! My favorite advice from the start is with the intial contact of the catering manager is it someone who enjoys what they do? Do they sound as excited for planning the event as you are? When you get over the initial introduction then start in with your details. Most catering companies will give you a low quote and then you find all of the hidden fees. We have nothing to hide here at the Hereford House. I will give you a proposal that includes taxes and gratuity so you, the client, can see excatly what you owe. Also ask the catering company what is included in the actual price of the dinner. Here are some questons that you might want to ask. Is water, coffee and tea included in the price of the meal? Does the china come with the price of the food or if not what is the price per dinner plate, salad plate, utensils? Are tabelcloths included, what about napkins? Is there an upcharge for anything? I hope this information helps you out while deciding on the next caterer to host your event. The wedding that you and your fiance plan is a huge part of your amazing, lifelong journey as a couple. Don't let your ceremony be anything but the extraordinary! Today, I am going to talk about some fun, practical and unique ideas for your wedding to inspire your upcoming day. Number #1: Carry a bouquet that will last forever. Unlike fresh flowers, a fabric bouquet won't wilt, fade, or die. If an aunt, mother, cousin or grandparents has an eye for arts and crafts you might be in luck asking them to make a fabric bouquet that is customized to your specific color palette and it is something special made by your family member that will play a prescence in your mind forever. You can even have a special heirloom brooch sewn into the bouquet to remember someone special on your wedding day. Number #2: Perform a "knot-tying' ceremony. A knot-tying ceremony is similiar to the unity ceremony but it involves a fisherman's knot. The couple ties the knot together to form a very strong knot, the knot only gets tighter with pressure and cannot come undone which represents the couple's everlasting strength. Number #3: Have your guest book available at the ceremony. If your ceremony takes place near your reception, have your guest book display out and ready for signatures. The best place for this at the Hereford House would be in the room that leads out to the patio. More specific the room is called the Hearth Room and you can rent the room, just ask the event specialist. Having the guest sign in book located in the Hearth Room ensures that guests have a chance to see it and sign it before the reception gets started. Number #2: An open catering venue verses an all inclusive venue. Some brides think it is easier to rent a place and then find everything..for example if you rent out a space and they only offer chairs and tables for you, you will have to find on your own tablecloths, linens, a catering company, decorations, someone to set-up, clean-up, most of the downtown venues here in Wichita also require security and most of the time parking is an issue. The Hereford House is your one shop stop. 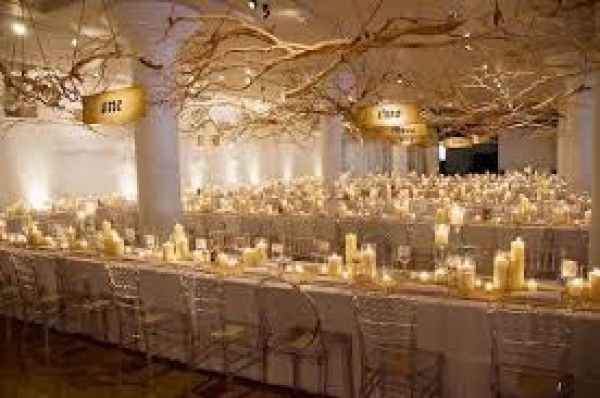 We provide not only the tables and chairs but we provide either white, ivory, or black tablecloths, black linens, 3 tier pillar vases with floating candles, all of the formal set-up, and glassware. The Hereford House does all of the event set-up and at the end of the night all of the clean-up. Because the Hereford House is located inside of a members only Country Club you don't have to pay for security. 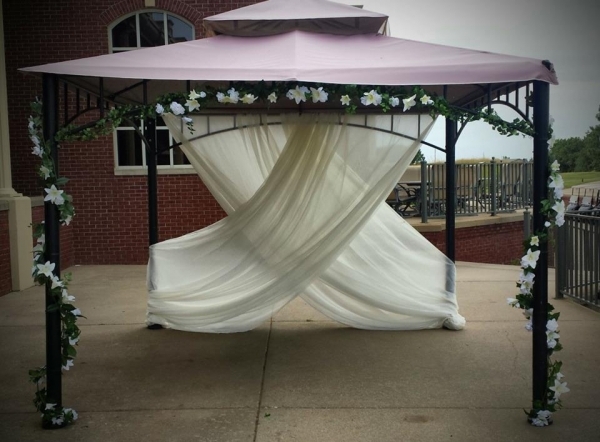 You also do not need to be a member of Terradyne Country Club to have a wedding or a private event here. I can go on and on about the food and the service. We are an upscale steak house with professional servers and we exceed expectations on the food and food quality. So with it all being under one roof it would be a no-brainer to go with an all inclusive place if I had to make the choice!! It's Time to Plan a Rehearsal Dinner! Rarely does this happen but I love when I have booked a wedding, with the bride and her family and the grooms parents come to me and want to book the rehearsal dinner with us too. Some people would think that setting up the rehearsal dinner at the same place that the wedding is going to be held would be a little redundant, but I can tell you first off that is far from the truth. The Hereford House at Terradyne Country Club is a massive castle like building; we are extremely fortunate to have more then one banquet facilitiy here. The number ONE reason why I love my job is becuase not ONE event is the same. I strive to make each any everyone's event special and unique to match not only their personalities, but what they want to show their guests in this unique experience. Rehearsal Dinners are very special to me. It is time for the grooms parents to shine. It is their one event throughout the whole wedding process to plan and execute. Most common I see plated dinners for our rehearsal dinners here at the Hereford House. I do see on rare occasion a buffet or if you want a more fun relaxed dinner before the big day I suggest renting out our bar area and setting it up with heavy appetizers. I have also seen a growing trend on outside rehearsal dinners on our beautiful patio that over looks the golf course. In my eyes, if this crazy Wichita weather coorperates the patio is ideal and dreamy. Please ask Morgan Bauer the event specialist about pricing of the bar and patio. If you choose to do a plated dinner you can have up to 3 options. These options don't have to be pre-selected before the guests arrive for the evening. When your guests arrive we will have the 3 options (steak, chicken and fish) on a beautiful menu and your guests can choose that evening. I highly reccommend to the parents when creating the event that after the rehearsal at the venue or church, you have 3 appetizers at mimumum for the guests to munch on while gathering for the rehearsal dinner. You ask WHY? Because most of these guests have never met each other, you are combining two new family, and friends, you wouldn't want to go straight into a sit down dinner without an icebreaker. We have three beautiful dinner buffet options all three options come with an interactive beef carving station. This is a really cool show because my executive chef will be at the buffet carving our beautiful Sterling Silver beef, the guest can choose their temperature and size cut of their dinner. Our buffets also come with coffee, tea, water, a salad, bread and butter a white meat (chicken or turkey) a starch, chef choice seasonal vegetable and dessert! If you wanted the more relaxed approach we can set-up a heavy appetizer buffet in our state of the art bar surrounded by beautiful western paintings, three 60 inch tv's and high-top tables!! #1. To remove any sediment from the actual wine. Sometimes you will find sediment in older vintages but it can be found in young wines as well, red and white. There is nothing wrong with a wine if sediment is found. It will not harm you if it is digested..it is just simply unappealing to the eye. meaning that oxygen needs to come into contact with the wine so it can be served at its best potential. Imagine if you were trapped inside a bottle...wouldn't you want to stretch and come up for air?? It's exactly the same concept! We believe in decanting wine to give you an experience that you probably haven't had at many other restaurants. Decanting is a great way to break that awkward silence at the table. It grabs everyone's attention and leaves everyone wanting to take a Riedel decanter with them! So, the next time you are at the Hereford House, take a look at the wine list. Let us know if you need help choosing the right bottle of wine, we have many personal favorites! We would love to give you the decanting experience that all wine connoisseurs have come to love at the Hereford House. Outdoor ceremonies are my favorite here at the Hereford House at Terradyne Country Club. There are so many fun things that you can incorporate into an outdoor setting. Many couples here in Kansas shy away from the outdoors because of the incliment weather but I say why? Some pointers that can help your guests beat the heat. Most of the weddings that I have coordinated here at the Hereford Houes the bride and groom leave a party favor at each place setting for the guests to take as the leave the reception. It is something special that they will remember the bride and grooms special day. An idea for outdoor ceremonies in the ead heat of the summer is to have fans with the bride and grooms special day embroided or printed on the fan so they can fan themselves during the ceremony. Place one on each chair or have them waiting for the guests in the entrance of the patio in a cute basket along with the programs. You can rent out the front foyer of the club called the Hearth Room. The Herford House staff will set up an area with refreshments for those who drink some warm weathered beverages that I can't get enough of are our homemade Margaritas and our scrumptious Mojitos. 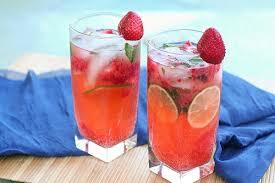 For those guests that don't drink or younger kids we can have bottled water or some fun punch! Flowers are in full blooms, millions of different cimbinations that you can arrange. Have fun mixing big blooms and different hues. 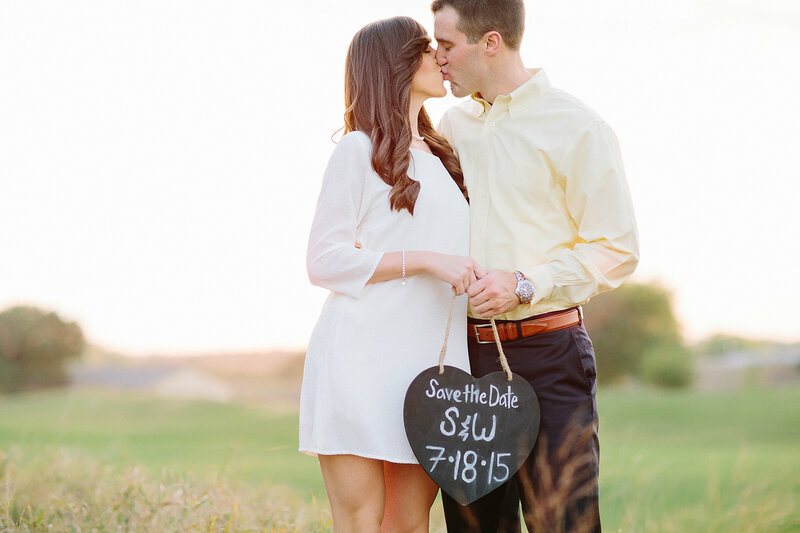 You can't go wrong with pretty shades of yellow and coral. Who says that you have to use floral arrangements for centrepieces have you seen anyone incorporate their favorite colors with fresh fruits on the table? Take a look at these! For all those Late Party Animals! For those guests who party into the wee hours of the night and have been consuming alcoholic beverages, one more fun way to incorporate the summer heat is to offer a cool sweet treat to cap off the evening. 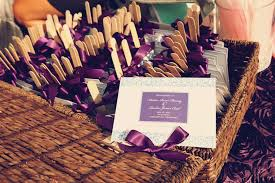 Why not have the Hereford House set up a Sundae Bar filled with the bride and grooms favorite ice cream flavors and the guests can pick their own toppings?! !